JVC/Taiyo Yuden blank DVD-R media has been the exclusive choice of professionals since recordable DVD technology came to market. 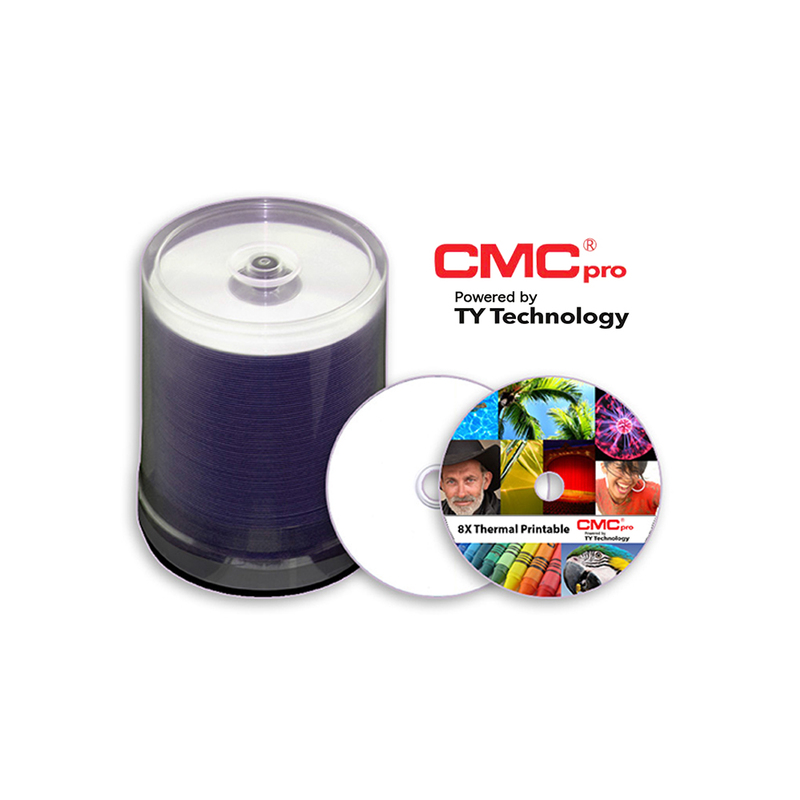 CMC Pro (Powered by TY Technology) DVD-R media is manufactured to Taiyo Yuden's strict specifications and and quality control standards. A perfect fit for professionals that require the lowest failure rate, highest playback compatibility and superior printable surfaces. CMC Pro offers a wide variety of printable surfaces and has an option for virtually every type of duplication and printing equipment on the market. 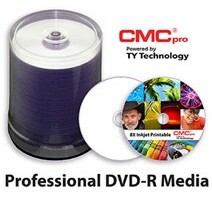 The integrity of your data is extremely important so don't settle for anything less than the superior quality of CMC Pro Professional DVD-R media. A specially formulated inkjet printable top coating allows for incredibly crisp, high resolution prints and vivid, rich colors. Don't settle for dull or faded prints, use CMC Pro inkjet media and see the difference for yourself. Get the most out of your Thermal Printer with CMC Pro Thermal printable media. The printable surfaces are specially formulated to work with high-end thermal printers and to consistantly accept the printed image and to minimize peeling or tearing. 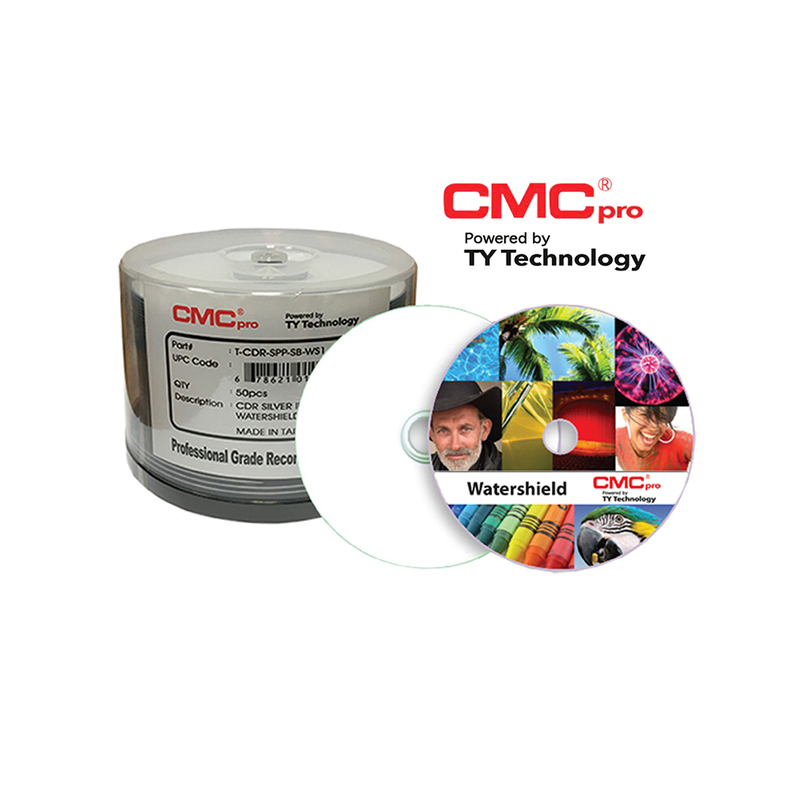 CMC Pro Thermal media meets the extremely high expectations of the professional Thermal Transfer printer user. A specially formulated inkjet printable top coating allows for incredibly crisp, high resolution prints and vivid, rich colors. CMC Pro High Gloss adds a glossy finish that makes your graphics really POP! Don't settle for dull or faded prints, use CMC Pro inkjet media and see the difference for yourself. CMC Pro Hardcoat adds an extra layer of protection to the burning side of each disc. The Hardcoat surface is extremely scratch and fingerprint resistant and repels dirt and dust. Available in a variety of professional printable surfaces it's a perfect solution for discs constantly being handled.